Art-C: Cubism...a radical art form that not only revolutionised art, but also music & literature!!! Cubism...a radical art form that not only revolutionised art, but also music & literature!!! It is difficult to comprehend the far reaching implications of Picasso's life & work. 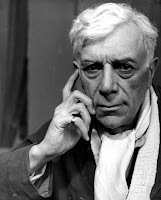 The most profound of these is his starting the Cubist movement in art with his friend & co-founder Georges Braque. Cubism was an avant-garde art movement that changed European painting & sculpture & inspired similar movements in music & literature. The first branch of cubism, known as Analytic Cubism, was both radical and influential as a short but highly significant art movement between 1907 and 1911 in France. In its second phase, Synthetic Cubism, wherein the use of different media was involved (collages, textures etc. ), the movement spread and remained vital until around 1919, when the Surrealist movement gained popularity. 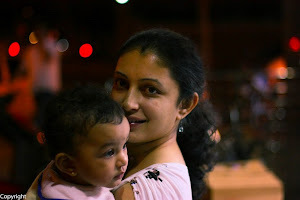 Cubist artworks are flat 2-dimensional representations wherein objects are broken up, analyzed, and re-assembled in an abstracted form i.e instead of depicting objects from one viewpoint, the artist depicts the subject from a multitude of viewpoints to represent the subject in a greater context. Critics often dubbed it viciously as 'a field of broken glass'. There is no coherent sense of depth & it is more of a geometrically analytical approach to form and color where the object appears shattered into sharp-edged angular pieces. 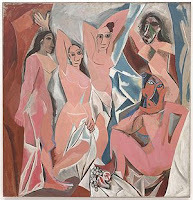 The painting 'Les Demoiselles d'Avignon (The Young Ladies of Avignon)', an oil painting by Picasso was widely considered to be the earliest of cubist works. The concept of cubism was more of Picasso's attempt to go against the normal, conventional way of representing objects based on what is viewed by the normal eye. He adopted the abstract way of looking at things but at the same time maintaining enough touch with reality to discern the objects. Although they were quite complicated to understand, this different view of things gradually seeped into the different forms of art. This art form spread into different areas & evidence of this art can even be found in poetry (Wallace Stevens' "Thirteen Ways of Looking at a Blackbird"), books (The Makings of Americans by Getrude Stein) & sculptures (Bulgarian State monument near Shumen). All this goes to show that personal belief when unique, can push boundaries & although resisted, can bring about a much needed change!! !